At Callyssee, coffee is huge: we include coffee in all our skincare products. Our rock star ingredient, Coffea Arabica (Organic Green Coffee) Seed Extract, can be found in every single product, from cleansers to scrubs and masks. This precious ingredient is extracted by cold-pressing green unroasted coffee beans. Organic Green coffee is considered a potent antioxidant; one of its highlighted skin benefits is its power to slow down the signs of aging while moisturizing your skin. Callyssee Coffee – why coffee beans? Dull skin is transformed into a healthy, youthful glow thanks to the Callyssee coffee in all our products! Created in the spirit of fun, with cutting-edge technology in our formulations. Every single product in the line was created by a team of cosmetic chemists and product developers with decades of experience in the beauty industry. The Callyssee brand developer obsesses over textures and scents, directing the creation of coffee-infused formulations for all skin types and through the decades (because even though we may notice fine lines and dull skin more as we age, we’ll have the best skin into old age if we begin taking care of it in our ’20s). For Callyssee, coffee is everything. Give it a shot (get it? Like a shot of espresso!). 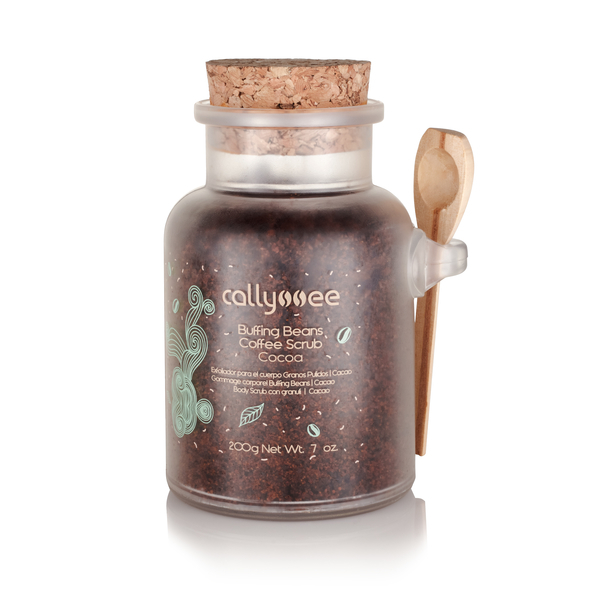 Check out the entire Callyssee coffee cosmetics line of products here to pamper yourself from head to toe.